David began his commercial real estate career 33 years ago in Houston and has spent the last 13 years helping to build PinPoint Commercial into a highly successful development firm, known for its unwavering focus on quality of service and performance. 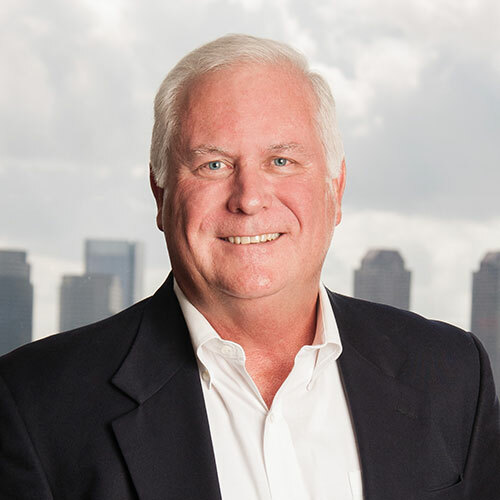 David’s unique development expertise has been vital to PinPoint’s 436 acres of successful Houston area business park developments, as well as many projects underway in Texas and southeastern United States. His goal for each project for PinPoint’s build-to-suit or design/build customers, including Weatherford International, FedEx Freight, RBC Bearings and Olmsted-Kirk Paper Company, has always and continues to be one hundred percent customer satisfaction. David holds a BS in communications from the University of Texas.